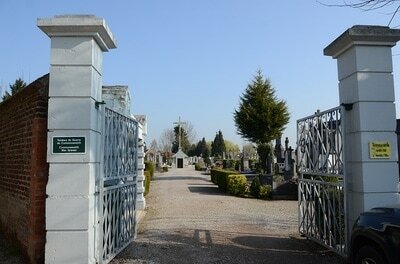 La Bassée is a small town some 37 kilometres south-west of Lille. Leave the centre of La Bassée on the Estaires road, turn second right on to Rue Egelite. 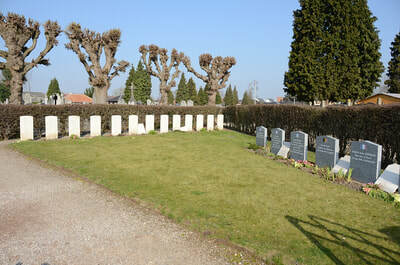 The cemetery can be found at the end of this cul-de-sac. Take the main alley to Crucifix and then turn right. 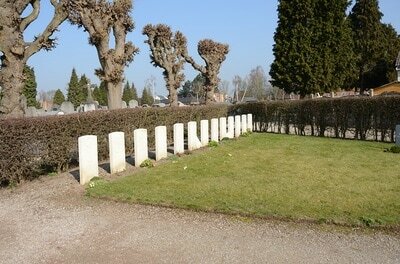 The Commonwealth burials can be found at the end of this walkway on the eastern boundary. 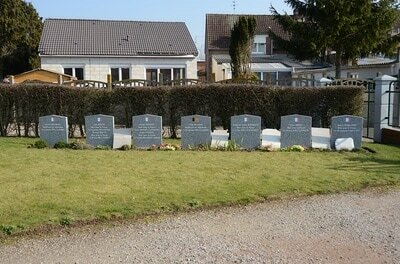 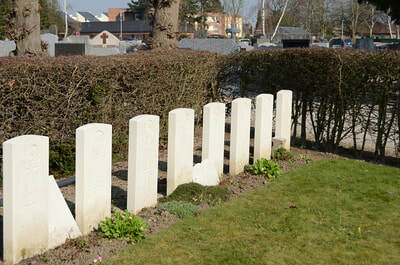 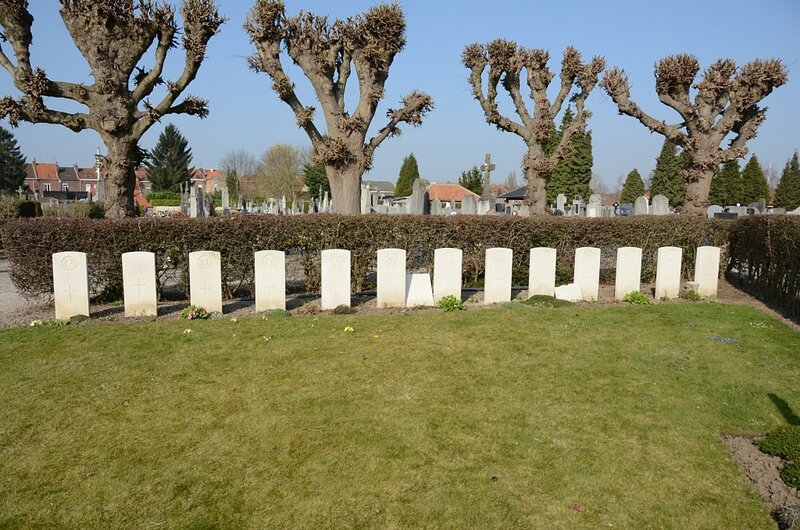 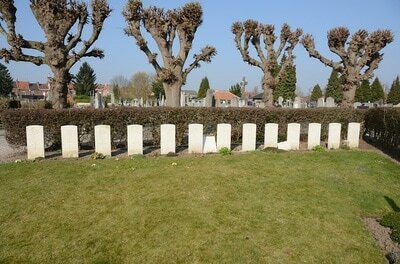 There are 13, 1939-45 war casualties commemorated in this site, of which 1 is unidentified.